It is a small hamlet and a kind of valley with high mountains all around. A few families live there with only one property for tourists. There are house stays too but it is better to stay in the Silk Route Resort – located at a super position between the mountains. Lingtam is the first tourist’s destination on the way to Silk route. It is located a few kilometers down the Rishikhola, another superb destination for tourists. One can spend 2 to 3 days in Lingtam relaxing and enjoying the nature’s view. Aritar Lake is very near to Lingtam, one can hire a vehicle to spot the lake and then return on the same day. The next destination is Zuluk, another scenic beauty in east Sikkim. There are no hotels in Zuluk, all are house stays owned by local people. Zuluk lies in between Nathang Valley and Rishikhola. 1 night stay here is must for all travelers. A stay in Zuluk also breaks the journey and one can get some rest and spend the night in leisure with the nature. This placed is fully covered in winter with chilled wind waves blowing all around. The area is an Indian Army cantonment and mainly monitored and maintained by Army. Local people stay there but they are now mainly focusing on tourists for livelihood. There are no hotels or resorts. The Dafter Bungalow, a old British bungalow and the Pinasha Lodge are the only good options for a stay. The family who maintains the properties is very friendly and helpful. Mr. Karma Sherpa and his elder daughter Prema are very helpful and kind enough to guide you and arrange everything you want if feasible. It is another hamlet on high mountains. You can visit this place and spend a night here. The view all around is just amazing. One can leave Nathang Valley and visit Lungthung to spend a night there. If you are not interested to visit Gangtok along Silk Route I would suggest you to spend a night here but if you got plan to visit Gangtok city, I would suggest not go to Lungthung but to move ahead to gangtok City directly from Nathang Valley. Lungthung is around 20 – 25 kilometers away from Nathang Valley. NOTE:There is another local resident who arranges home stays. His name is Sebestian Prodhan. Don’t trust this guy. We had to cancel our first plan of visiting Silk route just because of him. We told him again and again to take the advance and book the house stays for us but he kept on saying that it was not needed and he would arrange the house stay for sure but when time came he surrendered that he would not be able to provide us rooms. There is no need to go for this man, the Sherpa family can easily arrange house stays in Rishikhola and Zuluk apart from lodging at Nathang Valley. Option 2: The other option is that one can leave for Gangtok City from Nathang Valley via Silk route. The journey would superb and adventurous. Menmecho Lake lies at a short distance from the road. One has to trek to spot the lake. There is no free access because it is a prohibited place, so vehicles are not allowed to enter this route and the route is very bumpy and not suited for a vehicle to move along. By the way, you can have a talk with the driver to mange this if you are interested to reach up to the lake. You can trek the route and return to the spot where the driver would wait for you. If you don’t want to trek up to the lake, do not worry, you can have a aerial view of the lake while going along the Silk Route from Zuluk to Nathang Valley or from Nathang Valley to further ahead towards Gangtok. It is located just 5 km away from Nathang Valley. It is an abandoned army bunker which is located at a high point and gives you a superb view of the sun rise. You can get to see this lake while moving towards Gangtok from Nathang Valley. The lake is shaped like an elephant. It is a sun rise point along Silk Route and one can view the Zig-Zag road perfectly from here. It seems like someone has sketched it. The awesome view would amaze you for sure. You can get to see the more than 50 sharp turns of the road. One can get woolen cloths, jackets at a very reasonable price here. The goods are brought from China and this market is the first point in Indian Territory where these goods are sold and supplied further in Gangtok city and other markets. If you are passionate about jackets, just take Rs 1000 – 1500 extra and you would get 2-3 superb jackets there. Each time I go there, I bring a jacket with me. This Old Baba Mandir is not accessible if you come from Gangtok side. So it is an advantage if you visit Silk Route that you get to visit the actual old Baba Mandir maintained by Indian Army. New Baba Mandir is accessible from both sides. You get good hospitality from Indian Jawans and the readymade tea provided by the Army is a must have thing in such chilling weather. It is a valley with snow all around in winter and Rhododendron flowers in the period from April to May. Tsomgo lake is approachable from both side. If you visit Gangtok first, you can come to Nathang Valley via Tsomgo Lake or you can visit this lake on way while reaching Gangtok from Nathang Valley along the old Silk Route in Sikkim. Nathula Pass is closed on Friday and you can visit this India-China border only if you have got the permit. If you have plan to visit Gangtok city via Silk Route, just ask your hotel manager at Gangtok to get the permit for you. If you are not visiting Gangtok from Nathang Valley, you won’t get the permit because permit for Nathula Pass can only be obtained from Gangtok city. Nathula Pass is worth visiting, one of the oldest border gates between India and China. This is a beautiful waterfall located after Tsomgo Lake if you go from Nathang Valley towards Gangtok via Silk Route. One can stop here by, get a hot cup of tea and stare at the beautiful Mandakini waterfall. Making an itinerary is one of the most painful tasks of a tour planner. If you don’t have an itinerary in visual, it is hard to make a budget and a plan. I am trying to help you out in this regard. Click on the link to see more Sikkim tour plan. Fantastic.you have helped me alot.we are going on december end.let me know whether we could get snow fall? You will get snow for sure. I would rather say, there would be too much snow. Hope the roads remain clear. Have you booked your stay? Share with us what are the places you would be visiting. hi abhijit, i want to know the total name of the places for sightseeing & total cost of the tour in november month? It depends on the number of days you have in hand. You can mail me at “uvreachedavi@gmail.com” the number of days you have, I can surely let you know all required things. Hello! Let me convey my sincere apologies for not responding earlier. Wish I could help you with details for your Silk Route tour plan in Sikkim. Stay in touch. Let’s connect. I would really want to visit these places .. Is it advisable to visit the silk Route sikkim in January end and early February? Silk Route is not suggested from late January to mid March. The road will be blocked with heavy snow and you will not get permit. If you want enjoy the chilling weather and snow there, visit in December else if you want a colorful scenic view, you must visit in April-May. This is the time when the place and the entire stretch is full of Rhododendrons. If you are planning to visit east Sikkim in January end or early February you can surely visit Lingtam and spend some quality days with nature. From Lingtam, you can visit Aritar lake and the view point. You can even proceed up to Rishikhola and Zuluk if the snow is less and the road is accessible. If the road to Zuluk is blocked, you can go up to Rishikhola and return to Lingtam. Lingtam is the gateway to Silk route. It is a small hamlet on the eastern hills with immense scenic beauty. There is a single hotel, so if you are planning to go there, you must book your stays in advance. Hey Abhijit, I heard one can only get permit of maximum 4 days to travel to silk route – zuluk, gnathang and lungthung. Is it true? There is nothing such regulation. Last time I stayed in Lingtam for 4 nights, Zuluk for 2 nights and Nathang for 2 nights. In total I was there in east Sikkim for 8 nights. The permission is obtained from Rongli. It takes around 45 min to 1 hr approx. to get the permit. Passpost size photograph and identity proof is required. Both original and photo copy would be needed. We had been to the Silk Route this January – February. It was simply amazing. Even the whether was supportive. Did not witness snow fall though very cold temperatures (-5 degrees in Gnathang). I intend to visit silk route of sikim during April end. Kindly suggest. Please mail me at “uvreachedavi@gmail.com” if you need anything else. I have recd yr mail dated 14.1.14.I intend to visit silk route during 16th April to 19/20th April. I require full package i.e. Accommodation + conveyance. Will u kindly suggest anything on the same. Mala Paul & Tapas Paul. I have received your mail too. I will surely help you with your trip plan and package. Will get back to you through mail. You can like the Facebook page and Google Plus page of TravelDias and stay updated on travel info. We are planning for a vacation to silk route from20th Jan to 25thJan’14.we would love to stay at lungthung & zuluk via sillery gaon.could u plz suggest us a trip plan. Lungthung and Zuluk may not be accessible due to heavy snowfall though you can visit Lingtam and then go for sightseeing to Zuluk and Nathang Valley if the road is open. Lingtam is a hamlet on the valley along Silk route. You can visit Aritar lake and view point from Lingtam. Snowfall has already started in east Sikkim. The present temperature in Lingtam is very low, it will drop further to negative during the period you are planning to visit. when is the best time to visit zuluk and nathang valley? i am planning a tour for 4 days from 1st feb to 4th feb 2014 to sikkim to see snowfall. but if zuluk is not accessible then the tour will be a doom. can you please suggest any other route? February is not a good time to visit the entire stretch of Silk route because the road would be blocked due to heavy snowfall. The place is already receiving heavy snow. Lingtam is the gateway to Silk rout in east Sikkim. The places are in the following order: Lingtam, Aritar, Rishikhola, Zuluk, Nathang Valley. From Nathang one can transfer to Gangtok via silk route or visit Lungthung in east Sikkim only. April is good time time to visit the east Sikiim and north Sikkim. Rhododendrons starts blossoming from April onwards. The mountains of east Sikkim and north Sikkim remains colorful in April, May and early June. I suggest the following plan which will include both east and north Sikkim. Places to visit from Lachen are Gurudongmar Lake, Thangu and Chopta Valley. Places to visit from Lachung are Yumthang Valley and Zero Point. When you are staying in Gangtok, take your hotel in Development Area. Is it possible if I want to visit Lachung from Nathang Valley within two days? Please let me know where we will get snow in the route from Sileri Gaon to Gangtok and then to Lachung in mid April? ur suggestions are really good. Please suggest which places are interesting and must watch. we ar enot very interested to go to all the small places. one more thign to ask- how far is “tarey veer” from namchi? is it possible to go to that place on the way to namchi from njp? Thanks for the appreciation. You may like to stay tuned to the Facebook page https://www.facebook.com/TravelDias and Google Plus page https://plus.google.com/113139907704263536803/posts for updates on travel. I would suggest you a different plan and that would be better experience for you. Night stay in Namchi is not really required. It is better to stay in Gangtok and Pelling. All the places of interest and spots are on the way to Pelling from Gangtok. So, I would suggest you to visit Gangtok from NJP and then transfer to Pelling via Namchi. Sightseeing in Pelling is done in two parts. The first one starts early in the morning and then the driver would drop you at hotel for lunch. After lunch the driver would take to other places of interest and drop you at hotel in evening. I guess you have asked for “Tarey Bhir”. The place is approx. 25-30 km from Namchi towards Sadam Village bordering Sadam and Turuk. It is a long stone ridge from where you can have an aerial view of the mountains around. In case you do not want to visit Gangtok, it is okay you can go with your itinerary but it is better to spend night in Gangtok rather than Namchi. Do let me know if you need anything else. Have a good day…! We a group of 14-16 people (mostly young families) are visiting Silk Route from 17 – 21 Apr. If you are feeling like then contact us for any assistance regarding your tour plan, accommodation, transport etc. Please do not hesitate to contact for any further assistance. How is the route-tour plan with SileryGaon-Zueluk-Gangtok via Silk Route? which are the less populated and remote locales for stay here? Lintam is one of the most offbeat destinations in east Sikkim. All places to spend nights along Silk route are serene and tranquil. I want to go Sikkim with my family ( 6 adults + 2 childs between 4 to 7 yrs ) on 19th Dec’2014 . I want to visit Lingtam , Zuluk , Baba Mandir , Aritar Lake , Changu , Nathula , Silk Route , Nathang Valley , Gangtok , Pelling . Plz. suggest th eroute and expandature ( with car fare ) . Thanks for visiting TravelDias. I have provided all details, do check your inbox. If any further query is there, do mail me in the same thread. Have a good day..! I must let you know that east Sikkim is much more beautiful compared to Ravangla and Namchi. The nature with its breath taking scenic view will surely amaze you. The journey from Lingtam to Gangtok is just fantastic. You will surely love it if you are a nature lover. There are many places to spend nights along Silk route in east Sikkim. The places to spend nights are Lingtam, Rishikhola, Zuluk, Gnathang Valley, Lungthung and Sillery gaon. I would suggest you to spend nights in Lingtam and Zuluk or Gnathang Valley. There is no need to stay at all places. I see that you have good number of days (from 3rd to 12th), so let me know what are the other places you are planning to travel. You say you have visited Sikkim 5 times, so let me know what are the places you have already visited, so that I can suggest you places accordingly. Do mail me all details at “uvreachedavi@gmail.com”, I will surely revert back. Is october a good time for visit silk route with family member and child? i need your help. Yes, October is good time to visit east Sikkim. The sky will be clear providing breathtaking views and the weather will be favourable with quite cold temperature. I have been trying my best to write to you for quiet sometime now but accumulating the exact words n phrases to thank you was being little difficult. I had planned my entire Sikkim trip exactly as per your suggestions and trust me a short span of just 2 days could not have been better utilized than what you had told me. I don’t have words to thank you for planning my trip in such a memorable way…………… I am grateful for all the time and valuable suggestions… THANK YOU DEAR…………. Thank you so much Saborni for the kind words. This is really inspiring. These kind of words really encourages me to help more and more travellers like you. kindly give you opinion about the following itenary and suggest necessary changes. D2 – Silari Gao to Lingtam. D4 – sunrise from Eagle nest point S/S and trnasfer to gangtok. ss at old/new baba mandir, nathula,tsoongmo lake. Overnight at gangtok. Also is there any way i can include kaluk in the above itenary ? i can increase a day or two? also suggest me som good stay hotels at the above places ? please tell me how i can arrange for the permits for silk route ,nathula pass & north sikkim? should i obtain the permit beforehand or during the tour? Thanks in anticipation of a valuable response. It shows you have good number of days to cover most of Sikkim and Darjeeling. The itinerary looks good but I would make some modifications to make it better. I would suggest you not to go for any more places because that would make your trip hectic and you will not be able to cover all places mentioned in the route I have suggested. Do let me know your feedback at my mail id “uvreachedavi@gmail.com”. I will surely revert back. Congratulations on creating such a nice blog.Hope it would become a guiding light for people like me with lot more stuff added over the years. I do need your help and valuable inputs. I am visiting Sikkim end May and first week of June with my wife and 6 year old kid.My flight reaches Bagdogra at 2.30pm on 28th May and am flying back at 2.00pm on 5th June. I wish to do the silk route from pedong -rishi-zuluk-nathang-kupup-gangtok and visit west sikkim for some leisure time.Wife wants to stay at Darjeeling too for 1-2 days. Considering that weather may not be kind during these dates is it advisable to go along silk route.Do not want to get stuck anywhere. In west sikkim would like to stay away from madding crowds. Can you help me plan an itinerary? I have considered the following plan. Set off for Gangtok and see all sites in between including Thambi View point, Kalipokhri lake, Nathang valley, Tukla valley, Menmecho lake, elephant lake, Chagu lake, Nathu lake ( is it open on Friday), ( can I cover all in one day or do I need to halt ON at any place in between ). Please suggest any alteration.Also any other points I may have missed. I am also quite worried about the getting stuck anywhere.Please advise any chances of getting stuck in view of weather during those days. Thank you so much for the appreciation. From your comment I can easily understand that you love to be with nature and away from the chaos. Keeping that in mind, I must let you know that east Sikkim is really serene with breathtaking scenic view and you are planning to visit the paradise of nature. One thing I would request you tat please do mail me your requirement at “uvreachedavi@gmail.com”. I will surely revert back with all details and information on Silk route and other destinations. You can just copy-paste your comment and mail me. It is better to communicate through mails. I love the guidance that you provide on silk route. Can I do it in short time? I reach NJP on 24th afternoon and need to be at NJP by 2 PM on 27th May. I want to travel less and enjoy beauty. I am travelling with my wife only. Any tips? Thanks for the appreciation. You can surely visit the Silk Route in such short span of time and spend 2 or 3 nights there. I would suggest you Lingtam and Gnathang Valley. If you need more information, contact details and itinerary, do mail me your requirement at “uvreachedavi@gmail.com”. I will surely revert back with details. I want to visit Sikkim on mid august, to visit these places-Changu , Nathula , Silk Route , Nathang Valley , Gangtok , Pelling ,lachung, Darjeeling . Please suggest me a rout map to cover all the places within 10/12 days. August is a rainy season on hills. If it rains heavily, roads to extreme altitudes may be closed. The north Sikkim may not be reachable. Lachung and Lachen are located in north Sikkim. The silk route in east Sikkim is also located at a very high altitude. The places along Silk route are Lingtam, Zuluk, Gnathang Valley etc. Places with low altitudes like Pelling, Gangtok, Darjeeling etc. can be visited though rainfall can cause landslides anytime. If you need more details on the tour plan or need an itinerary or any further information, do mail me at “uvreachedavi@gmail.com”. I will surely revert back to you. At nathang valley the scenic beauty is superb, but think twice whether u stay at daftari bungalow runs by prema serpa and her father nd mother. Whatever they had promised to provide lastly they denied to give it. There is no tap water, bathroom is entirely untidy, because of lack of sufficient water me my son got ill for the untidyness, they provide very little amount of hot water, no cistern to flushout the latrine. Extremely terrible. The family’s behavior is horrible. Due to harsh cold we want room heater, they want rs 250 for two nights, but the second evening they forcefully picked it out from our room nd provide it to another new boarders. The second morning we were entirely out from the room for sightseeing, the room heater was of nearabout 5pm we return back and they’re did Luke this that was very painful for me nd my son. During return time they forced us to pay rs 500 for two day’s rent for heater, but when they provide it on the first day they said the rent is 250 for whatever day we want to keep it. They came to hit US during payment, the prema sherpa and the battalion. It was very heartfull for us. They abused us in very ditty way in front of our child. Entire system was unorganized. I suggest everyone to stay another homestay run by prodhan. I forgot the same. Whatever step should be taken to five them punishment we will take. We must returned from there. Hey Reshmi, I feel so bad on hearing that. I knew Sikkimese people are very hospitable with tourists. If you feel that they have cheated you or ill behaved, you shouldn’t have paid the money. If they tried to force you, you should have had filed a complaint with police. BDW I prefer to stay with another family in Gnathnag who are so simple and friendly. I love their hospitality. Can you please suggest the best place in the north-east for a trip of 3N/4Days in end of June. The places you should cover are Lachung, Thangu, Chopta Valley, Gurudongmar Lake, Lachen, Yumthang Valley, Zero Point and Hot Spring. I personally consider Gurudongmar lake to be the best spot in north Sikkim. It is the highest point. If you need more details and information, do mail me at “uvreachedavi@gmail.com”. I want to go zuluk with silk route. Can I do it in short time? I reach NJP on 22nd October and need to be at NJP by 5 PM on 26th oct. I want to travel less and enjoy beauty. I am travelling with my baby (5yrs old), my husband, brother,sister,mother & father. Any tips? Yes, you can surely make this trip. 4-5 days are more than enough to cover all places and the extreme beauty of the eastern hills of Sikkim along Silk route. If you want to travel less and enjoy the beauty of nature, east Sikkim, i.e. Silk Route will be a perfect destination. I would suggest you to spend 2 nights in Gnathang Valley and 2 nights in Lingtam. There are many places you can stay but the mentioned two places are the best locations. If you need a detailed itinerary or trip plan, more information on transportation and lodging, just mail me at “uvreachedavi@gmail.com”. I will love to revert back with all information. Have a nice day…! Planning to visit silk route from 22 sep foe 5 day. How will weather at that time? There are chances of rain but I expect the weather to be okay. Abhijit Sir,I would like to know if you can provide me with any package for the Silk Route as I intend to visit it during the Puja’s this year.Will it be a good time to visit these places during these period?? Yes, I can surely help you out. I have already replied to your mail. Do check your inbox and reply in that thread only if required. this our itinerary from 22nd sep. Is it okay or any changes you suggest? We are planning to visit silkroute mid August, is that a good time to go there? As per the plan, we should reach NJP on Thursday Morn and will board from NJP on Sunday night. What would be the Itinerary for us? And if August is not a good time, please suggest some place else which would be worth visiting in the above mentioned time span. You can visit Silk route in August. During rainy season the scenic view is a bit different which has its own charm. Please do mail me at “uvreachedavi@gmail.com” for a detailed itinerary. Do mention the dates, no. of persons for better information. Is it ok to plan silk route trip in 1st/2nd week of september?What will be the climate then? Yes you can visit Silk Route in September. Sky will be clear to give you a breathtaking view. Though there are chances of a bit of rainfall but that won’t be an issue. Rainfall is heavier in July-Aug. Nights will be quite cold. Gnathang Valley is the highest point in east Sikkim along Silk route. Make sure you do not miss Lingtam which is a lovely and virgin valley. Best places to stay in Silk route are Lingtam, Zuluk and Gnathang Valley. For any more details, do mail me at “uvreachedavi@gmail.com”. We are 6 persons going, starting on 13th August night reaching NJP the nxt day morning,that is thursday, and we have return train from NJP on Sunday Night.That makes it 3 Nights stay. For which places we need permit and is it possible for us to get the permit from kolkata itself? Please let me know how will be the weather, will it be rainy and is rainy good to visit Zuluk? Is there any chance of land slide? What will be the temperature? Will we get transport from NJP in sharing or we can hire a car of our own to go to Zuluk Directly? Do we need to book hotel in advance or is it available? August is rainy season, so it may rain any time. But during rainy season there is a different beauty. It looks breath taking all around with such a scenic view. You can visit Silk Route but I would suggest you not to go to Gangtok via Silk route. It is better to avoid that route which remains very poor during rainy season. Road to all other places remain okay. If you intend to visit Gangtok, do that trip via Rangpo. I don’t suggest you to visit Gangtok because you only have 3 nights in hand that should be spend in along Silk route only. Best places for night halt are Lingtam, Gnathnag Valley and Zuluk. Accommodation should be booked in advance to make sure you get that and also talk about the car hire costs. August is off season so I guess you will get good prices. You need permit to move along Silk Route. One needs to provide identity proof along with passport size photographs for permit. If you can send these documents there to your hotel/home stay manager, he will arrange the permits for you. Temperature will be favourable during day and it will go down at night making it cold for you. Gnathang Valley will have lowest temperature because it is the highest point along Silk route. There is no direct or sharing cabs to any location in east Sikkim. You will have to hire one full vehicle. It is hard to find one vehicle from NJP/Siliguri to visit any location in east directly. It is always good to ask for a pick-up vehicle which will wait for you at station and pick you up to transfer you to your destination in east Sikkim. If you need any more details and costs for hotels/home stays, vehicles and any contact details, do mail me at “uvreachedavi@gmail.com”. I will surely revert back. We want to go to rishikhola 2days,selary gao 1day,zulul 2day and nathan valley 2days.we are 7 people and my daughter 08 months (3 family). we will be reaching njp on 1st 0ct. kindly help us about the tour details. A apologies for such a late reply. Actually I didn’t get time to log-in to my blog. BDW I guess someone else from your team named Aparupa Paul has also inquired. I have replied to her. Please consult with her. For further details and itinerary, do mail me at “uvreachedavi@gmail.com”. I will surely revert back. My suggestions on your Silk route trip inn Sikkim are in your inbox. Do check and revert. Have a good day. I must say its an wonderful blog, I got so many information for East Sikkim. Brother I am coming to NJP on 1st October morning and I need to come back to NJP on 5th October night as we are having train to Kolkata on 6th early morning. Plz suggest me trip plan for East Sikkim-silk route for this period with details like how to book advance accommodation(as this is durga puja time), up and down cab booking and require permits. Thank you so much for the appreciation. There is too much rush to east Sikkim this year. Agents and home stay owners are no more taking bookings. The accommodation facility and vehicles in east Sikkim are very limited. I will see if I can manage something for you. Do mail me all requirements along with dates and number of persons to my mail id “uvreachedavi@gmail.com”. 4 of us wants to go to zuluk on last week of january. do some sight tour. Whom should we contact for this? Please drop me a mail at “uvreachedavi@gmail.com”, I will surely share the contact details along with other necessary information. Thanks for landing on my blog. Generally in December end the roads remain open. After that it starts snowing and the roads get blocked. FYI, Sillery Gaon is not in Sikkim, it is in Bengal. If you intend to visit Silk route, a better route would be 2 nights at Rishikhola, 2 nights at Lingtam and 1 night at Zuluk OR Gnathang valley. For more details if needed, drop me a mail at “uvreachedavi@gmail.com”. Need help.. I plan to visit sikkim nov end. I wish to visit the following places however I am not sure about the itinerary. ..could u help..? Lingtam, rishikhola, zuluk, nathanq, nathula & yumthanq, zero point, gurudongmar on the other hand. Its a 10 days trip. Also which places are really worth staying a night, as u see I am short on time. I can surely help you with a travel plan and approx cost of everything. Do mail the following details at “uvreachedavi@gmail.com”. I need the exact dates of travel (if tickets are booked) or tentative number of nights stays. Do share your mode of travel, i.e. whether you are visiting via flight or train. Share the timings if possible then I can suggest you a perfect itinerary. Nice Blog. Really liked your helping attitude. Sent you a mail. Waiting for your reply. Thanks Rahul for the appreciation. You can check your inbox for all the answers on your queries regarding east Sikkim trip. Reply in that thread only if you have anything else to know. when is the right time to visit Silk Route/ east Sikkim according to you. There can be two periods best to visit east Sikkim. If you want snow, you can visit in end December to early Jan. If you are looking forward to see Rhododendrons, you should visit from mid April to early June. …at first i would like to say that your blog is outstanding.. I m planning to visit silk route in the month of april for 5N/6Ds.can u plz make a compact trip plan for us? i m thinking to stay 1 night at mankhim . in april can we get snow at nathang valley? Thanks for the appreciation. I can surely make a plan for you. Let me know if you are focusing on Silk route only or you have plan to visit Gangtok too. It is better to stay at Aritar. Mankhim is a view point just near Aritar. The lake at Aritar is really special. Actually the entire Silk Route is special and amazing. If you are visiting in early April, you will surely get snow. Drop me a mail at “uvreachedavi@gmail.com” with all details, I will surely revert back. I’m also planning for siljk route in the 1st week of feb. Already sent you mail on your id mentioned above. Plz go through & guide me to make my plan in proper time & way. I apologize I couldn’t get back to you earlier with all details. Hiope you had a great trip to Silk Route in Sikkim. I am looking forward to your review on your Sikkim trip. If you are interested you can share a write-up with me and I can surely publish that on my blog to share with all other readers across the globe. Hi, We have planned to go to east Sikkim during mid March . We have decided to start from Rishikhola , stay there for one night ,then to Zuluk ,staying for2nights ,then to Echey Gaon and stay there for 3 days . Please give your suggestions . I don’t suggest the plan that you have shared. I would suggest 1 night at Sillery Gaon, 1 night at Lingtam, 2 nights at Zuluk OR 1 night at Rishikhola, 1 night at Lingtam, 2 nights at Gnathang Valley OR 1 night at Rishikhola or Sillery Gaon, 1 night at Lingtam, 1 night at Gnathang Valley and 1 night at Zuluk. You can customize it as per your wish. You can visit east Sikkim from either side, it can be directly from NJP/Siliguri side or you can visit the region from the side of Gangtok. If you need anything else, drop me a mail at “uvreachedavi@gmail.com”. I will surely revert back. adv 2days n1 nght plan for east sikkim? Your point is not clear to me. Do mail and I will surely revert back. Planning for 6N/7D tour – Silk Route – 3rd week of May -2015 – 5 Adult (including 1 Senior Citizen) and 1 9+ boy. Can you suggest iteneary. Travel Funda Quoted – 9200/- per adult and 4600/- per child for a group of 5 adults and 1 child for 6N7d is it good or should i directly contact with homestay and get there opinion too ? I guess it is better if we converse through mail. Please drop me a mail at “uvreachedavi@gmail.com” with all details like number of persons, dates of travel and the places you want to cover. I can surely help you out. i am planning of a trip to sikkim from april 26th to 2nd of May, but lot of people have suggested not to go to north sikkim because of my 2 years daughter. Can we get snow in the mid MAY in any location of silk route and yumthang Valley? Hi, We have planned to go to east Sikkim during very 1st week of May. We have decided to start 3rd May from Gantok because of taking parmission to visit Nathulapass….from Gantok….. Lingtham>Rishikhola>Zuluk>Nathang Valley>Silk route>Changhu lake>Baba Mandirs>Nathula Pass… then back to NJP on 9th May evening. Can we find snow or snow fall between this period.. Please give your suggestions & schedules. Is it the right plan to start visit east sikkim from Gantok. Please help me out…. I want to go silk rout at October 2015.i want to see ice can i see the ice in October?first time i visit silk route .please suggest to go where i could see ice. There is no surety of snow in October. If you are lucky you may get snow around Tookla Valley and Gnathang Valley along Silk Route. You can stay at Gnathang Valley, that is the highest point along Silk Route in east Sikkim. For more details, you can mail me at “uvreachedavi@gmail.com” with reference to this conversation. I can surely help you out. Really liked your blog. I have been to Sillery Gaon, Aritar, Mankhim few times, but yet to visit Zuluk. I am planning a North Sikkim trip and would like to merge ZUluk with that. The total time I have is only 6days and 5 nights. I need your suggestion and help to fix the itinerary. I have also sent an e-mail to your id. Hey Abhijit, First of all I would like to give you a big thanks as you helped me a lot in getting knowledge about silk route. I have got a very slim time duration of 3 days 4 nights to visit the same from 1st Oct to 4th Oct.
My priority is I would like to enjoy snow as I have never seen the same. Please suggest me a plan. Thank you so much for the appreciation. Kind words are always encouraging. In October I really doubt about snow in east Sikkim along Silk Route. It doesn’t snow generally during October but you if you are lucky you may get snow around Tookla Valley or Gnathang Valley along Silk Route. To know more and further details, do mail me at “uvreachedavi@gmail.com” with reference to this conversation because I get hundreds of mails each week and it is hard to remember individuals. I can surely help you in framing a travel plan to east Sikkim. Day 1 – siliguri to gangtok. day 2 – explore gangtok. day 3 – gangtok to nathang valley via nathula pass. day 4 – nathang valley to siliguri via silk route , reshie. Pls suggest , is it phesseasabl or not. If you want to cover Gangtok, I would suggest you to skip Gnathang valley in East Sikkim this time and focus only on Gangtok because you have got only 4 days. So make any one region. Don’t make it a hectic trip rather enjoy leisure and the thus the beauty of nature. I planed to go Sikkim with my family ( 6 adults + 3 childs, one 2 1/2 yrs and two 8 yrs ) on 11th June’2015 . I want to visit Lingtam, Zuluk, Nathang Valley, Baba Mandir, Changu, Silk Route, Gangtok. Please. suggest accommodation, agent, car and probable expenditure ( with car fare ). Drop me mail at my mail-id “uvreachedavi@gmail.com”, I can surely help you further but please share the number of days. Can we get snowfall in end of October or early November? It depends on where do you visit. Zero Point in north Sikkim will have stiff snow for sure. Gurudongmar lake may get some snowfall if you are lucky. In eastern side, you may get a bit of snow at Nathula Pass. Thanks for this concise and useful post. We, three guys are planning for Silk route on 3rd week of august,2015. I know there are chances of getting heavy rainfall, still we are on with the plan. Question to you is, (1) do we need to book a cab for this whole on day basis charges? (2) Do we need to book for any accommodation in advance? Yes, there are chances of rainfall because this is monsoon time but I feel you should give a try to hills during monsoon as you are traveling with your friends. Hills have its own charm in rainy season. The sky remains foggy and the greenery with fog all around makes a heart satisfying thing for all nature lovers. I personally enjoy rains in hills. Yes, there are chances of land slides and all those natural calamities. You are not required to book the cab for the whole trip because your Home Stay owner/manager can arrange point to point or sightseeing vehicles but he must be aware of your plans well in advance because vehicles are limited in east Sikkim. Accommodation must be booked in advance because options are limited and demand is always high. If you need more information or detailed plan, please do mail me at “uvreachedavi@gmail.com”. I will surely revert back. Can you suggest a plan for us. Also suggest what would be the total cost as we are 8 to 9 members. let me know whether we could get snow fall or not. Thank you for liking my Blog. This is for all travelers like you. October is a good time to visit high altitudes in Sikkim. The sky remains clear providing superb view of the surroundings. October is not time fro snow in east Sikkim but if you are lucky, you may get snowfall around Nathang Valley and Tookla Valley along Silk Route. As you have planned to night halt at Nathang valley, I feel you should skip staying at Zuluk because bothe places are adjacent to each other with same scenic view. I personally feel Nathang is better compared to Zuluk because Nathang is located at higher altitude with more chilling weather. Nathang valley is so beautiful with all snow caped mountains all around. I feel you should enjoy the serenity of Sillery Gaon for 1 night. I have sent you a detailed travel itinerary, check your inbox and revert back there with your feedback. Let me know what else you need. I just go through your write up, its really nice and defiantly helpful. I had visited north sikkim( Gangtok, Lachen, gurdongmar, lachung, Namchi) in 2012. I also visited Nathula pass and nathang valley and returned back via old silk route. So, from that day I have decided o plan a another trip for east sikkim. On oct 1st week I am planning to visit east Sikkim with 4 of my frnds. I need few help from your side, as you have a very good experience on this route. 1) Please guide me a itinerary for 3n/4d trip(east sikkim). I dnt mind to do extensive travel. 2) Please guide the home stay options or hotel options available and how do I book from Kolkata. 3) Estimated cost (if possible) for 5 heads. we do not want a luxury trip. Thank you for your kind words. Great to know that you have already visited some parts of Sikkim. Yes, I have been there several times. As you have already visited Gangtok and you have 3 nights – 4 days in hand, I feel you should focus on east Sikkim (Silk Route) only, no need to visit Gangtok this time. You can enter via the Rongli check-post from NJP/Siliguri’s side and come back via the same post. I have already mailed you a detailed travel plan. Please check your inbox and revert back there if you need any further info. planning a solo trip in july last week for zuluk, kupup, Nathang Valley for 7/8 days. kindly recommend. Guess I have mailed you already…right…? Liked reading the interactions going on regarding Silk Route with Abhijit. I am planning a trip with family of 5 in November ,2015. Weshall reach NJP on 7th morning And shall leave NJP on 14th night. Abhijit can you plan a trip for us through the Silk Route. I had been in many places in Sikkim and will not prefer to return through Gangtok. Basically we are nature lovers but not in the right age for treckking. So basically it should be on wheels. On the behest of one of my friend, one Mr. Dilip Pradhan of Mangaldeep Resort had sent me an itenary where places like Lingtham,Rishikhola, Lungthang are not showing up. In 7N 8D plan night halts are planned as Sillary Gaon, Aritar, Zuluk, Nathang Valley and on the way back at Rongil. Can you help me out with a plan along with names of good home stays and transport operator for the package ? I have planned the above itinerary considering you are a middle aged person. If you or any of your team member is senior citizen, make sure you avoid making night halts at Nathang Valley. Nathang is located at a very high altitude and one will surely face high altitude sickness and there can be other problems to children and senior citizens. I have mailed you a detailed itinerary and more information. Please check your inbox and revert back there. writing you this hence we are also want to explore silk route , me and my wife, now we have booked train tickets from 14th – 21st oct 2015, during the rush hour only. we will reach at njp on 15th around 9:30 am and our departure will be 21st 6:30 pm from njp fol sealdha, So we are getting 7 days 6 nights. Hence i do not have much idea about this route so went to few travel agencies but all said not a single place available..could you plz help me with a good travel agencies, or the homestay and hotels, whom i can contact and solve this problem. I know this kind of request is looks very odd…but really in help less situation so requesting u if possible. Talk to me over phone. Only few days are left. There is huge rush to the place this year. I can surely help you out. Just get my number from my Facebook page and make a call to me. I would share the contact details of the persons who manage my trips to the region. Hope they can surely help you out. I guess I have mailed you. Please let me know if you need anything else. I can surely revert back. We ar planing to visit silk route at 28th December..is it right time ? ?we r 9 with a 9 yrs kid. Yes you can visit but I must let you know that the temperature would be very very cold. If you don’t have any issue with cold, you can surely visit the region. I personally enjoy visiting the place during winter. You can mail me at “uvreachedavi@gmail.com” for further communication. Per head cost can be Rs 750-850 for lodging and all food per day. For kids the cost can be lesser but depends. we are 4 people planning for east and north Sikkim together in first week of November. Starting our tour from Njp on 1st Nov and returning from 7th November. What will be the proper adventurous trip plan. Can you suggest where to stay & the chances of getting Ice in entire trip. Chances of getting snow are in Zero Point and Gurudongmar lake in North Sikkim and you can also get snow along Silk route near Nathang valley, Tookla Valley, etc. Drop me a mail at “uvreachedavi@gmail.com” if you need further information, I can surely help you out. We are planning a tour to sikkim in October 2015 from 21st Oct to 27th Oct (i.e-6nights/7 days). We are 3 frnds (all Male above 25). We will be reaching NJP on 21st Morning and intend to leave NJP on 27th nite via train . I have heard a lot about Silk Route and want to know more about it. Can u please help me in planning a trip and suggest me an itinerary – which are the best places we should visit and how many days we can stay there alongwith the contact info of the hotel bookings and transportation. Liked your blog a lot. Your quick reply will highly oblige us. I apologize that I am late to reply in this regard. Actually I was out of city without internet access. If you still need any help, drop me a mail with [Urgent] in subject or call me on my mobile. My mail-id is “uvreachedavi@gmail.com” and you can get my mobile number from facebook page. We are planning to visit Lingtam to Zuluk to Nathang valley from 12th March to 19 March-15. Is it the right time to visit that places ?? You will not be able to reach up to Nathang Valley because the road will not be operational and blocked with snow. You can visit Sillery Gaon >> Aritar >> Padamchen for sure. Then you can move ahead till the point it is open and return to Padamchen. You can make this trip if you want to explore snow and chilling weather. For details and more info it will be better to communicate through mail. You can drop me mail at “uvreachedavi@gmail.com”. going 2 gangtok..21.10.15..frm there 2 nights 3 days lachen&gurudongmar..then is it possible 2 go silk route frm gangtok….i means gangtok 2 Lungthung…n stay..then lungthung 2 lingtam..n.stay..then njp..train 29.10.15..pls suggest..is silk route permision given frm gangtok? I am late to reply in this regard. Wish I could help you earlier in making your trip plan. It is already 19th and you are visiting on 21st, so I feel everything has been confirmed. If you still need any help, just call me on my number. I will surely help you out. we will have a 5 yr old child with us. Plz suggest. You will not be able to move beyond Padamchen due to heavy snowfall. During Feb, the Silk route beyond Padamchen closes and remains blocked. You can stay at padamchen and try to move ahead towards Silk Route asa far as possible and then return to Padamchen. You can stay at places like Sillery Gaon, Padamchen and Aritar. Zuluk and Nathang valley are beyond Padamchen along Silk Route. For details, you can drop me a mail at “uvreachedavi@gmail.com”, I can surely share more details. I apologize that I couldn’t reply to you earlier. Please let me know if you are still looking for any info. I can surely revert back. You can mail me at “uvreachedavi@gmail.com”. we are 8-9 friends planning to visit silkroute 1st week of march,2016….we want to stay at sillery gaon & then proceed for silkroute….our budget is 7000-7500/head…..what should be our plan??? trip duration is 4n/5d or 5n/6d according to expense…will there be any permit problem for sikkim car??? where to stay??? plz help…..
You can surely visit Silk route by that time. You can spend your nights at Sillery Gaon, Padamchen and Aritar. You can directly visit Silk route from NJP/Siliguri/Bagodgra and cover Silk route and then return via same route. There is no need to visit Gangtok. In early March there are high chances that you can not move beyond Nathang valley due to heavy snow, in hat case you can move beyond Padamchen till the point accessible and then return to Padamchen or Lingtam. We can discuss further if you need more information. Drop me a mail at “uvreachedavi@gmail.com”. We are a group of 10 person(all male). We plan to visit silk route starting from 26th nov 2015 from NJP. Is this the right time to visit? Can we get snow? Can you please help us out with the itinerary. I am late to reply in this regard because I was out of city without internet access. Let me know if you are still looking for any information. Yes, you can visit this time. Temperature will be very cold. You will not get Snow much, you can get a bit along Tookla valley while doing sightseeing along Silk route but the breeze will be chilling and shivering. You can call me or mail me at “uvreachedavi@gmail.com” for more details. As you are leaving on 26th and only few days are left, better is if you can call me up. is it feasible to cover all these places in such a short span of time.pl guide or suggest most suitable plan. Wish to see snow fall at this time. I apologize that I couldn’t reply you earlier because I was out of city without internet access. Hope you are already doing the trip. Let me know next time when you need any help regarding your trip. I want to visit Reshikhola, Aritar, Ichegaon,Zuluk in march 2016. We are a group of 13 adults with 3 children of 7 years and 2 of 5 years and 2 years. We want to enjoy snow. Please call me and suggest the package with cost. Hi Dipika, first of all I am not a travel agent rather a travel consultant. I can help you with travel information and contact details if required. Reshikhola, Ichey Gaon and Sillery Gaon are loacted in west Bengal hills bordering east Sikkim and places like Aritar, Padamchen, Zuluk and Nathang Valley are located in east Sikkim along Silk route. You do not get snow at can get snow at Ichey Gaon, Sillery Gaon, Reshikhola and staying at all these places is absolutely not required. You can stay at Ichey Gaon or Sillery Gaon and then you can stay at Aritar and Padamchen. You can go for sightseeing from Padamchen towards Nathang Valley along Silk route and you can get snow on the way. You get snow till mid March. You can mail me at “uvreachedavi@gmail.com” for further details and information. i am goind silk rout on dec 04, is it possible to see snow fall? We are planning to visit Silk route and then North Sikkim in the last week of December, 2015. I already planned out the following. Please suggest me if it is possible to cover these areas with in 7-8 days. 31 Dec – 2 Jan -> North Sikkim (Yamthang, Gurudongmar Lake). I am not sure if it is possible to visit Nathula pass at 29/30th Dec or not. Also if North Sikkim is not accessible at that time, then we will go for Pelling and West Sikkim. Please suggest us, if you have any better plan on this? As of now we are 2-4 members only. But we are trying to make it 6 just for the Silk Route. You can go up to Padamchen for night stay and then take a sightseeing up to the reachable point and return to Padamchen. There is another road via Rongpo to reach Gangtok from Padamchen. So if you want you can easily transfer to Gangtok from east Sikkim via that route. As far as north Sikkim is concerned, you can reach up to the hamlets of Lachen and Lachung but you will not be able to visit Gurudongmar lake from Lachen and Yumthang from Lachung. If you love serenity and nature, you can spend nights at Lachung and take a sightseeing up to the reachable point towards Yumthang valley. I would suggest you to visit Sillery Gaon, Aritar, Padamchen in east Sikkim along Silk route and the transfer to Gangtok via Rongpo. Spend a couple of nights at Gangtok and then transfer to Pelling via Namchi doing all sightseeing along Samdruptse, Char Dham, Temi tea garden, etc. Planning a trip to Sikkim during 25 Dec-2 Jan with my husband and a 7 yr old kid. Reaching bagdogra at 3 pm on 25 th dec & want to reach Gangtok by 30 th Dec. Booked hotel at Darjeeling from 31 Dec-2 Jan. Want a relaxed trip with decent facilities in silk route viz geyser & room heating. Please help with an itinerary along with details of permits, car hire and accommodation. Your blog is very informative. Thanks for the info. We actually are frequent visitors in Darjeeling and sikkim but still want to explore more…. I want a few suggestions and guidance from you re: our plan in this Dec 2015 from 27th Dec 15 to 1st Jan 2015 We are 4 adults and one kid of 12 yrs and r planning to go to silk route in 4 -5 days from Durgapur. 1. Is the travel possible at that time and within this time frame? 3. I just need your advice on the budget on trips, hotel stay and food as we have to prepare ourselves. 4. Do we need more packs to get the vehicle of our own or the local agents can give us a whole vehicle with 5 packs? I feel you should focus on East Sikkim only and skip the idea of visiting Gangtok. The road (Silk route) connecting east Sikkim and Gangtok will remain blocked due to heavy snow. There are very low chances that you would be able to transfer from Gangtok to east Sikkim or vice-e-versa. I would suggest you to focus on east Sikkim only and this would be close to kalimpong too. You can spend 25th and 26th in Padamchen and 27th at Aritar or Mankhim. Zuluk and Nathang Valley is located beyond Padamchen and these places will not be reachable by that time. I have mailed you all details. Please check your inbox. 3. How to hire/book a car. 4. Cost for the tour in terms of Staying and travelling? I have provided all details in mail. Please check your inbox and reply there. Would you recommend to visit silk route with my 1 yr old son. We are planning to visit by own car and few bikes. So could you please tell me what is the procedure to get the permission and if possible please suggest some accommodation. Firstly Would you recommend to visit silk route during december end with my one year old son. Lastly if you recommend above two then please suggest an initiary for 7 days along with accommodation. Please send a copy of your reply to this email address. Hello Avijit, Quite impressed with your knowledge of the silk route & the info along with it. we are planning to start silk route trip from NJP on 20th march morning & plan to be at Nathang on 22nd march from there on will proceed to gangtok on 23rd March. will that be a problem.? We are a group of 5 adults traveling to Sikkim in the last week of January. 28th January to 3rd February. Our flight lands in bagdogra at 230 on 28th January and return flight is at 315 on 3rd February. We want to see as many places as possible in Sikkim and enjoy the nature. We are planning to skip Darjeeling and focus on Sikkim only. We would love to cover Spelling,Lachung, Lachen, Silk route, Zero point, Tsogmo lake, Gangtok etc. Please suggest an itinerary. Thank you! We, a group of 10 people including 2 Chilidren of 6 yrs. old, intend to visit Old Silk route on and from 23rd January to 27th January. We will stay 1 night at Sillary Gaon, 1 at Aritar, 1 at Zuluk and 1 at Nathang Valley. Is there any risk for the Chilidren? Wish I could help you but I just checked this comment. Please let me know if you need any information in future. How about if I plan a tour in October in silk route. I will get 6N/5D for the tour. What are the possible places can be covered in this duration? We are planning to cover all the places worth to visit in east sikkim in this duration. Also can you please suggest the hotels/home stays (and contacts of those if available) which we can opt for during our tour or pre book? Also for cars to hire do you have any known person there? You can cover the entire Silk route along with Gangtok in 6N-7D. Let me know if you want to cover Gangtok along with Silk Route. I will suggest accordingly. Let me know your feedback by mail at “uvreachedavi@gmail.com”. Mail me with reference to this communication. I will surely revert back there. I will suggest home stays and transportation accordingly. I apologize that I couldn’t reply you earlier in this regard as I was out of city on a trip and there was no internet. Let me know if you are still looking for details. I can help you out for sure. Drop me a mail at “uvreachedavi@gmail.com” and I will revert back there. Can you please help me out for a silk route trip in may for 5 persons( including a child of 9 years) form Gangtok to sillery gaon for 4 days. Mail me at “uvreachedavi@gmail.com” with reference to this communication if you need further details and info. We have planned to make a tour to Silk Route this February end (21-25) as given below. From IXB/ NJP Station and move towards SILLERY via kalimpong and pedong. Photography of Sunset from SILLERY after lunch. Night stay at Sillery gaon. Start for Sunrise at 4.00 AM to witness the changing colures on Mt. Kanchenjunga & Himalayan Range from Ganek / THAMBI view point, LUNGTHUNG Sun Rise point. After breakfast start for completing the Silk Route covering ZIGZAG ROAD, ADI BABA MANDIR, NATHANG VALLEY, TUKLA VALLEY, KUPUP, ELEPHANT LAKE, GOLFCOURSE, JELEP LA PASS view point .Night stay at ZULUK . After breakfast proceed for DALAPCHAND via ARITAR sight seen. Night stay at DALAPCHAND, a small village in lap of Mountains. Can you please let us know how will be the weather? Would it be possible to complete our tour? I would suggest you to spend nights at Sillery gaon, Padamchen and Aritar or Mnakhim. Apart from the issue of snowing and getting stuck, there is another reason I will not suggest Zuluk is that the place has become very noisy and dense with home stay and crowd of tourist. Padamchen is much much better with serenity and tranquility. I personally prefer to stay there. Sillery Gaon is really beautiful. For more details if needed, drop me a mail at “uvreachedavi@gmail.com”. Mail me with reference to this communication. I have been going through your website and glad to see the detailed info you have given about sikkim silk route tour details. However, I am still confused a bit due to various suggestions given by friends & relatives. I have already made my reservations from sealdah to njp & back from 27th May 2016 to 1.6.2016. I have shortlisted few places to visit like Kalimpong, lava, lolegaon, rishyap, tinchulay, & silk route via zuluk & nathang valley/lungthung. I would be visiting with my wife & small 2.5 years old son. Pls suggest how can I schedule my trip, by covering maximum places which are worth seeing & it doesn’t pose a health problem for my small kid. I would be really grateful If you can help us out. I guess we are communicating through mails. We r planning to visit silk route around 18th march. Our tour starts from gangtok wit stays at nathang valley and aritar. Will the roads be open at that time? Also feel free to give suggestions. I just returned from there and roads are open but no one can predict the conditions. If it is dry today, next day the road can be blocked with 1 feet snow. If it rains the previous night then there would be snowfall next morning or the road will be covered with snow. I wish road remains open. This why tourist should plan properly. In February-March, tourist should visit Silk Route from the Rongli side not from Gangtok’s side. In case the road is blocked, the trip gets hampered. All tourist ask for suggestion from me, I suggest the same thing. I am not a travel agent or tour operator. In case you need any suggestion or information, you can revert back by mail or call me. First I would like to say you thannks for crating such kind of things where we can get a clear idas abot those place. Thank you so much for the appreciation. Before I can suggest you a trip plan, let me know your arrival and departure time from NJP or Bagdogra. I have mailed you, so you can revert back there in the same thread. I am planning to go to Silk Route from 15th of May 2016 onward. Please advice is that time ok for Silk route and Gangtok visit ? Can I use my own Swift (petrol) car for this trip ? I have replied to you in mail. Please check your inbox and revert back there if needed. I don’t suggest staying at Nathang valley if you have any child or senior citizen. If you don’t have any children and senior citizen, you can surely spend night at Nathang valley. The place is located at a very high altitude. If you plan to stay at Nathang valley, I would suggest you to spend 1 night at Padamchen which is at moderate height and you will be acclimatized with the height. I don’t suggets staying at Zuluk because the place is always chaotic with tourists and shops. It is no more serene and tranquil. So you can skip staying at Zuluk and rather stay at Padamchen. I personally prefer to stay at Padamchen. I have mailed you, please check and revert back there if you need further information. We had a booking for silk route trip from 22nd March to 28 th march, 2016 with a travel agency. But unfortunately on 20 th march we have met a severe bike accident and have to cancel our journey. Now we are informed that their next tour for silk route is on 21st May, 2016. So will you pls help us to make a decision, whether it will be a suitable time to travel around silk route? Eagerly waiting for your reply. May is a very good time to visit Silk route. You can surely go for it. Wish you a very happy journey ahead and enjoy the trip. When you return, please share your experience. Hi, I am planning to visit east sikkim this may, reaching njp on 3rd may evening and return ticket is booked from Njp on 8th may morning. Time is short. Wanna stay one night at sillery gaon/reshikhola/aritar – which one will be better? Then 2 nights at zuluk or nathang valley. Is there any chance of getting snow there. I am visiting with my hubby and wanna stay away from crowded place. Please suggest a tour plan and suggest where to stay. Thanks in advance. I apologize for the late reply. Please let me know if you still need any information. I can surely help you out. You can call me to my mobile or just send a mail to “uvreachedavi@gmail.com”. hi abhijit….. on 30th may 2016 we reach njp early morning. we are 8 adults and 3 childs . my tour plan is as below 30 th may: from njp to lingtam sidescene and night stay at lingtam 31st may :from lingtam to zuluk via rishikhola and aritar . night stay at zuluk. 1st june;sidescene of zuluk then go to nathang valley . night stay at nathang 2nd june: sidescene of nathang and go to lungthang night stay at lungthang or nathang valley or zuluk. 3rd june:come back from there where night stay to njp . train at night . I guess we are communicating through mails. Please check your inbox and revert back there. I apologize for the late reply. Wish I could help you in this regard but you are already on your way I guess. Please stay tuned to TravelDias and let me know if you need any information in future. We are planning to have a bike trip through silk route. Our plan is to start from kalimpong/sillery gaon and end through Gangtok Siliguri. Some of my friends are saying that the road is too stiff at places for bike riding. What is your opinion? One more question, is there any chance of road block at silk route due to heavy rain/snow in May? May is a good time to visit Silk Route. If you want a bike ride, you will have to visit Gangtok first. Permission for bike ride is given from Gangtok tourism office. The bike owner must be present and all valid documents are supposed to be shown. You can go through any broker to get 2-3 days permission. Broker will of course charge for this. Do not go on your own, else there will be harassment and you will lose days. There are few chances of oad block, don’t worry. Weather will be good. We are arriving NJP on 25th May @ 9 AM. We were suppposed to go to Lachen & Lachung and come back to Gangtok on 28th May. Now it is cancelled due to blockages of roads in Lachen & Lachung. How to go to Silk Route directly from NJP on 25th May 2016 and stay 2 Nights and then proceed to Nathular and then to Gangtok on 28th May 2016. Please help me with direct contact number of a Good Driver of Innova \ Xylo who can do the needful. Can silk route be visited in October? I mean is it worth visiting in October? Well,here I should mention,I prefer greenery,mountain stream etc over snow.. So ,I am planning a trip to sillery gaon,reshikhola,zuluk,gnathang in puja vacation. Can u pls suggest an itinerary? Yes, it is worth visiting in October. Weather remains fine with clear sky and good views all around. I can surely suggest you a trip plan, let me know how many nights you have and number of persons traveling. I am not a travel agent or tour operator who can provide you a package price rather I am a traveler like you who can share all needed information and contact details if needed. I have been to Silk route many times and I can surely help you with details. Please mail me at “uvreachedavi@gmail.com” with reference to this discussion. First of all, let me cordially thank you on behalf of the entire travellers’ fraternity for making such a tremendously helpful platform. Can you please suggest me WHAT WILL BE THE BETTER PLACE [NORTH OR EAST SIKKIM] TO VISIT DURING OCTOBER END ? and is there any chance to get snow at Gurudambar lake and Zero point during that time ? Your kind suggestion is highly solicited. Thank you Arpan for those kind words. You can surely visit further and beyond Reshikhola and Sillery Gaon to cover the entire Silk route in October. There are less chances of snow but weather would be superb. The scenic beauty along Silk route is just breath taking. Both east and north is good, if you have time in hand, you can cover both regions. North Sikkim needs 2 nights minimum and you can spend 2 nights in east Sikkim. You will get snow at Gurudongmar and Zero Point. Mail me at “uvreachedavi@gmail.com” for further details. Hii Abhijit… October is the good time to plan for Old Silk Route,and Pelling and Darjeeling? ?Kindly give a itinerary ,,i want to start from Old silk Route,after that Peling and Darjeeling.So Kindly Guide Me..
October is really a good time to visit Silk Route. I would suggest you to skip Darjeeling and cover Gangtok. If you insist on going to Darjeeling than it will be better if you can manage a night or couple of nights in Gangtok. Your journey can be: NJP/Bagdogra >> Silk Route >> Gangtok >> Pelling >> Darjeeling. Check your inbox, I have mailed details. We are group of 3 women from kolkata, planning to tour old silk route from Oct 22 to Oct 25, that is 3N4D. Would this be a good time to visit silk route? Also, Could you please suggest us an itinerary for the same. We would be reaching NJP on October 22 and would leave NJP on October 25. Thanks for visiting TravelDias. I have shared a Silk Route plan and itinerary with you, please check your mail inbox and revert back there. So sorry to disturb you, come to know your email address through http://www.traveldias.com/silk-route-sikkim/. 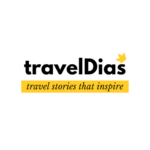 and regular follower for your travel blogs. We are group of 3 (2 adults and 8yrs old girl) from Kolkata, planning to tour old silk route from Oct 9 to Oct 15, that is 6N7D. 7. Transfer to NJP from Rishikhola early morning. I have already replied to your mail. Please check mail inbox for details. Plz suggest 4n/5d tour on mid October(i.e 23th to 27th oct)… remember we have 1yrs7months daughter.. I guess you are to late to book your stays in October. There is huge rush this year to Silk Route in October. Check your mail inbox. I have shared all details. I wish to visit silk route in December ‘2016. I heard that the road will remain closed due to snow. Is it true ? How I will plan for 4night 5 days ? What it will cost for 8 persons including 2 child of 6& 10 years ? Is the place safe for the above mentioned child ? You can visit Silk route directly from NJP/Bagdogra/Siliguri via Rongli. You can reach up to Padamchen and stay there. From Padamchen you can go for a sightseeing along Silk Route up to the point reachable. Generally it snows from Zuluk and the stretch beyond Nathang valley remains closed, so if you stay at a lower point spot like Padamchen, there won’t be any issue. You can surely take a vehicle and reach up to the reachable point. I have mailed you details. Please check your inbox and revert back there. Hi, Abhijit, I am planning to visit Zuluk & Nathang Valley in the 3rd week of December. Would you please give me the details of accommodations at places like Lingtam, Padmachen, Zuluk & Lungthang. In 3rd week of December, I would suggest not to spend nights at Nathang valley. I suggest you to stay at Padamchen. I can only share a trip plan or itinerary when you tell me the exact number of night stays there. What will be the temperature at zuluk, Nathang in December? It will be freezing and the breeze will be chilling. If you are planning to visit Silk Route in December, make sure you stay at lower altitude places and you are not stuck in snow. You can stay at low altitude places and can take a car to go for sightseeing upward along Silk route, reach up to the reachable point and then come back. I do the same thing every year when I visit there on 31st Dec.
We 4 friends planing North East road trip in 1st and 2nd week of Nov.2016. If possible please clear my doubts. we are hiring Zoomcar vehicle (self drive car) from Delhi. 2] Is it necessary to book hotels in advance. 3] Can we get permission for Silk route (Zuluk) from Gangtok. If you have any suggestions for 1st timers to NE like us you can mail me details. Note: I have done Srinagar-Leh-Manali route twice in my own car. so I have idea about road conditions in Himalayan ranges. Self driven cars are not allowed in Sikkim but allowed in Meghalaya and Assam. You can’t take a self driven car to Zuluk, Gangtok or any oher region in Sikkim. It is the hardest thing to get permit unless you know someone in home ministry or tourism ministry there. You can drive the car in Meghalaya and Assam. Hotels if booked in advance is good. 1] Can we drive to Tawang (Arunachal Pradesh) in self drive car, and is it possible to drive Kaziranga to Tawang in one day. 2] can you suggest budget stay options in Darjeeling, Guwahati, Kaziranga, Shilong and Tawang. Probable Itinerary 2: Plz send in details . Amitava, please check your inbox for details. I have mailed you. Please suggest 5d/4nights plan for silk route for 2/3 people in mid October. and where from to start?Mention night stay options. Reshikhola (1 night) >> Padamchen (2 nights) and Mankhim (1 night). I feel you are too late to book your trip in October which is a peak season. Hurry up else you will not get any booking. Lodging options along Silk Route are very limited. Nathang Valley is located at a very high altitude. In October it will be very cold weather there. As you have such a senior citizen, I feel it is better if you stay at a lower altitude place and can reserve a vehicle to go for a round to Nathang valley and places around. I have mailed you about our silk route tour plan from 18th to 23rd Dec this year. Pls give us ur valuable suggessions. I have already mailed you. Please check your inbox. We are a team of 13 members comprising 8 adults, 3 children of 12, 9 and 8 years respectively and 2 infants of 3 years of age each. Our proposed itinerary of silk route tour has been mailed to you. Please provide information about the cost of car, homestay etc. Some of us are doubtfull about the weather at the time of our visit (18th Dec to 23rd Dec). Please tell us whether the time chosen is risky for the tour. We also want your valuable inputs, if necessary, in our proposed tour plan. An early response is solicited. I have already mailed you all details. Please check your inbox. Thank u for your valuable inputs. Only one correction I like to mention here that, we are reaching NGP at 18th Dec, not in 17th. Our train is on 17th night from Sealdah. One more thing I like to ask here. I have heard that cars don’t reach upto the homestays at Reshikhola and so one has to walk a condiderable distance to reach there. My question is whether the path is suitable for children and ladies to walk ? and how much is the length of the path ? Moreover u have mentioned about heavy snowfall at that time. Whether the snow can hamper the sightseeing along silk route? Lastly I like to thank u again for ur response. Check your inbox please and revert back there. Thanks a lot my brother. Ur information and guidance have wiped out our worries. U r so kind and helpful. I will surely consult u, if necessary, regarding any further doubts. Thanks, thanks, thanks a lot my brother. God bless u.
I m planning to visit zuluk, silk route in 1st week of Dec.
4th Dec At NJP and back to NJP on 8th Dec 2016. Pls suggest if its a right plan. Drop me a mail at “uvreachedavi@gmail.com” for further details and info. We are going to silk route on oct16 to 22. We r 2 adult and one 9 yr child. How will be the weather this time. We like the ice very much. So can we get the ice this time. Also what will be the temperature. Unfortunately, you will not get snow in October. Chances are negligible. If it rains the previous night when you would travel along Silk Route, then there is a chance of getting snow near Kupup. It will not be that much cold till Zuluk. It will be cold at Nathang valley. Hi Abhijit…read some of your answers and surprised how thorough replies can be….I’m planning for a trip to east sikkim around 10th February. I am actually planning for a bike trip with my wife, and I should mention that I have previous biking experience on western Himalayan roads. But please suggest me whether it would be too risky given the usual weather at that time?? Also as I think, visitintg old silk route around that time is not possible since the roads will mostly be closed. So what could be the other possible itenary I would have to choose from. And would Nathu La pass be open around that time or not. Please help me out with your suggestions. If required you can mail me at abhik.mazumder@gmail.com. I feel bike would not be allowed in February. Even it is allowed you will not be able to drive along the entire Silk Route in February because the road will remain closed and blocked with heavy snow. If you want to enjoy snow, you can surely visit up to Padamchen. I do the same thing in winter. I reach up to Padamchen and then try to drive further towards Nathang valley up to the reachable point and enjoy the snow. Nathaula Pass will remain closed in February. I am planing a trip to the Silk Route with my family along with my 5 years old child in the month of March 2017. I need your advice on the tour route for about 6 days, where can I stay and also please guide on if it is safe to visit there in the mentioned time frame with the kid. March is a good time time to visit Silk Route. Weather would be favorable and sky would be clear. Detail plan has been sent to your mail. Check your inbox. I am planning to visit Sikkim for 10 days at the start of Feb.
Could you please suggest an itenary for us. I would be travelling with my parents and they are not very comfortable in extreme cold weathers. Check your mail inbox. detail plan has been sent. I have plan to go gangtok-zuluk-pelling for 6 days-5night. Can you provide me the Itinerary. Time wil be 8th dec- 15th dec’16. also cost for that with good hospitality. 5 nights are not enough to cover Gangtok, Pelling along with Zuluk (Silk route). Pelling needs minimum 2 nights, Silk route will need minimum 2 nights and Gangtok 2 nights more. It is better you cover 3 nights in Gangtok and 2 nights in Pelling else you can cover 3 nights along Silk route covering places along the route incluidng Zuluk and 2 nights in Gangtok. Can i visit zuluk nd kupup lake with my personal car? And where can i get the permit? You can get the permit only from Gangtok tourism office. You can get through any person who would be able to arrange the same for you. Do not try yourself else you will lose days and your trip will be hampered. Yes, you can get permit from Gangtok tourism office. We are a family of 5 adults and 2 children (Aged 6 and 1.5 yrs) planning for a trip to Sikkim. We are reaching Bagdogra on Mar 3 afternoon and leaving on Mar 12. We have already visited North Sikkim (Lachug, Yumthang, Zero Point) and Darjeeling earlier, so want to avoid them this time. Trying to plan the itinary but really confused on how to go about. Really appreciate if you can suggest me a suitable itinary which covers most of East, West and South Sikkim? Due to cost considerations, I would like to book the hotels myself through goibibo/makemytrip instead of going through a travel agent and book a Bolero/Scorpio for my entire period of journey beforehand. Awaiting your suggestions. This time you can surely focus on other parts of Sikkim. You can cover entire east Sikkim including Gangtok and the fampous Silk Route. You can also cover Pelling, Ravangla, Kaluk, Richenpong, etc. If you want to avoid travel agents, you should also avoid online portals. If you want, I can connect you to the hotels owners directly. I have been to this region many times and I can connect you to my contacts if you wish. You can surely reserve a car for the entire trip. You can mail me for further details. 2. I am planning to travel with a travel agency named “naturewings”. Are they good and reliable for silk route? 3. Is there any other alternative agency’s or direct contacts with the homestays will be better option? Please guide me. Please give your valuable opinion. 1. In first week of March, the road may remain blocked due to snowfall. The stretch between Tsomgo Lake and Kupup remains blocked due to snowfall. It is better you visit Silk Route from Rongli’s side and reach upto Padamchen, stay overnight there and then go for sightseeing upto the reachable point. If you plan like this, there would no issues at all. 2. I don’t know this travel agent and so I can’t comment on this. 3. There is no need to travel with agent. If you want, I can connect you directly to the home stay owners who can mange your stays and the car. Do revert back in mail. v r group of 4 friends planning to visit north east for 6/7 days …. is it possible to cover darjeeling (1 day), Sikkim (2 day), Majuli (1day), Cherapunji (1day) ??? or will it be too much??? Yes, it is really too much. All places you have mentioned are located at different parts of north-east. If you have 6/7 days in hand, you can focus on Sikkim. You will love the place. m sure sikkim itself is big place to explore but i don’t wen i’ll get another chance to visit der(north-East). So may be not all the places i mentioned earlier but Pls help me out to plan my trip in away so dat i can cover as much as possible in 7/8 days…. Check your inbox. Please do revert back in mail. No need to post any comment further. We can communicate in mail only. DAY 1 night stay in lingtam & all sightseeing. DAY 2 night stay in nathang valley & all sightseeing. DAY 3 night stay in rabangla & all sightseeing. DAY 4 night stay in Gangtok & all sightseeing. DAY 5 Gangtok to NJP after lunch. CAR will be pickup – Drop frm NJP to NJP (CAR model – BOLERO, SUMO GOLD or jailor). Please share costing including all. Ravangla is not in Silk Route. It is a separate place which needs minimum 2 nights stays and it is far away from Silk Route. It is better if you skip Ravangla this time and focus on Silk Route. Let me know if you have visited Gangtok before. If you have already visited Gangtok, then you can focus on Silk Route only. 4 nights – 5 days are okay to cover Silk Route. If you want to include Gangtok in this 4 nights – 5 days trip you will not be able to cover Silk Route and Gangtok properly. I feel it is better to cover Silk Route only and skip Gangtok. In case you are eager and keen to visit Gangtok, you can stay 2 nights along Silk Route and 2 nights at Gangtok. I gave mailed you also. Revert back there. Need your best suggestion for family tour, plz guide me ,bcoz we don’t know where to stay & view poin. and what expense during the tour. plz plz guide me your best. I can surely help you out with planning he trip to Silk Route. Let me know how many nights you would have for the trip. I can suggest a Silk Route l can only when you share your tentative days of visit. You can mail me all details. It is very good blog to help traveller like me. I want to visit zuluk from Kolkata starting on 26th Oct. Can you mail me best eternity and booking & contact details with approx costing for 4 night and 5 days. We have 6 heads. Njp to zuluk and back to njp. I don’t want to visit Gangtok. You can cover Ichey Gaon, Reshikhola and Zuluk in 4 nights – 5 days. You juts have a reserved car and home stays should be booked in advance because there are limited options. I have mailed you in details. Please check and revert back. I want to visit Silk route during 1st week of May. Please find the details below. Need a personal car for entire trip. Could you please provide me a detail itinerary along with package cost(NJP to NJP). Guess I am too late to reply. Let me know if you are still looking for any information. You can mail me or call me directly. We are four person all senior citizens booked orange court resort for five days end of September. I want to know is it possible for same day visit zuluk Nathang valley and back orange court resort. Kindly advise me is it possible. Thanks Mrs. Ashru Basu. Thank you for reaching out to me. I have mailed you. Please check. I would like to visit Gnathang & Zuluk on 12 &13th May 2017. I am planning a trip to Silk route in June 1st week. I want to be there for 6N/7D. It will be great help if you can provide a suggested itinerary. I would also need the suggested places to stay with contact to book these places. If you can tell how much cost it would be for the trip, it will be helpful to do the planning. We are a group of 9 including one 5 year old. If you need any help from my end, you can mail me or call me. As far as medicines are concerned, not required any unless advised by your doctor. Some pieces of camphor would be helpful for high altitude sickness. We are planning to visit Zuluk on 2nd week of January. Should we proceed ? What’s your opinion ? I want to visit zuluk ,rishikhola, silery and lungthung. Thanks for all the valuable information. i am visiting the Sikkim in the first week of Nov for 8N9D. now i am not able to decide should i include Silk route because none of the travel operators are suggesting the same through they are willing to include it on my request. We want to visit Sillerygaon, Zuluk, Rishikhola in december. we have very tight budget of 7000/- per head. Is it possible to manage the tour? If so then please guide me. Hope you are doing great. I remember when we communicated regarding your trip to Sikkim back in 2016 March. You never replied back though I followed up with you. Did you make that trip or this would be your first trip to Sikkim? I didn’t find any reason that you would not reply to my mails. In January, generally the road along Nathang Valley remains frozen and closed due to snowfall. You can stay at Padamchen instead and go for a ride along Silk Route towards Nathang Valley as far as possible. We are planning to travel to east Sikkim from 21st June to 25 the June. Could you please suggest whether this would be a good time to visit east Sikkim ? Also, which would be better in terms of weather conditions to visit during this time between east and north Sikkim? It would be of great help you could help us with an itenary like we were planning to start with icche gaon and end with Gangtok. If there are better options please suggest. Hello! Let me convey my sincere apologies for not responding earlier. Wish I could help you with details for your Silk Route-Sikkim tour plan. I want to plan a trip to Sikkim Silk Route in October this year. Can i please talk to you and discuss in detail. It was nice reading your blog, very well thought tour planning as per requirement. I am planning for east sikkim tour including reshikhola in end of october this year. I’m starting on 19th night from kolkata and returning on 26th. Can you please suggest me a draft itenerary. I liked the 2nd probable itinerary option but it seems too much hopping. I dont like too much packing unpacking. A little laid back refreshment would be preferable. I’ll b travelling with my 3.5 year old kid also there will b a 8 year old girl with us from my friends family. Can you please suggest me something. Please check your inbox. I have sent you a mail. reply there. 22nd, 23rd – Zuluk stay (Snow Lion) – We don’t want to stay in Nathang because of the weather and we are travelling with 2 kids. Can we cover most of the places in and around Nathang? Is Jalepa pass accessible? Thank you for reaching out to TravelDias. My sincere apologies for not responding earlier. Actually, I was travelling all throughout. I think I am quite late to reply. Please let me know if you are still looking for any information. I would love to help you. I am mailing this to you, revert back there if you still need any suggestion.